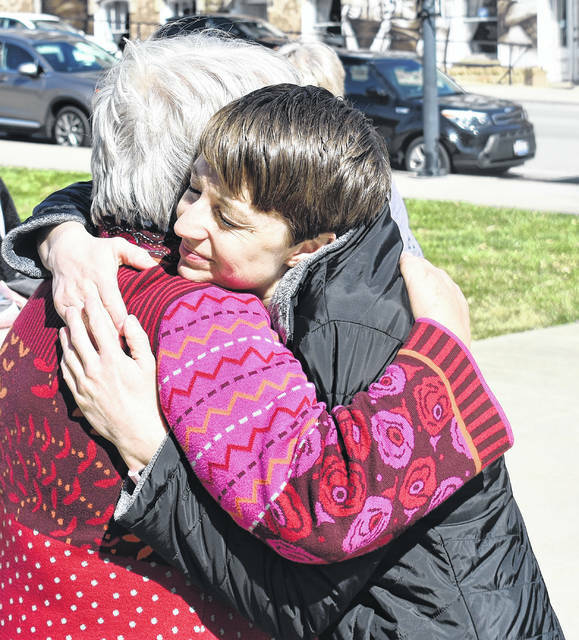 Kerrie Fahey, right, gets a hug from Quaker Pastor Nancy McCormick at the Clinton County Courthouse on Wednesday during a prayer vigil for her daughter, 14-year-old Alaina Quillin. 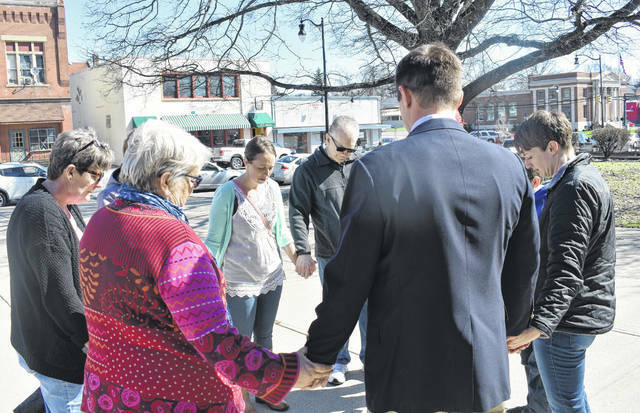 Family, friends, and local faith leaders gather for a prayer vigil on Wednesday at the Clinton County Courthouse to honor Alaina Quillin, a Wilmington eighth-grade student who died Monday night. A vigil is also set for 6-8 p.m. Wednesday at Wilmington Middle School. Visitation will be 5-8 p.m. Thursday at Brown Funeral Home with services at 10 a.m. Friday at the Church of Jesus Christ of Latter-day Saints, with burial to follow at Sugar Grove Cemetery. An honor student and lover of art, music and musicals, and of small children — she especially enjoyed working at the nursery at church — Alaina was an organ and tissue donor; her gifts will help the lives of many others.